[AUBERT DE LA CHESNAYE DES BOIS, Francois-Alexandre]. Paris, C.J.B. 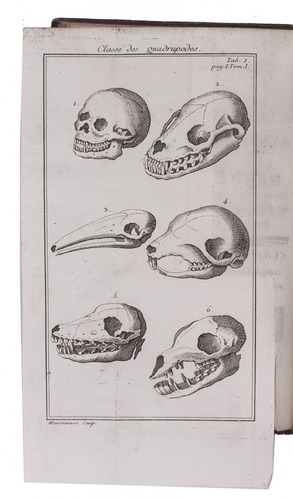 Bauche, 1754. 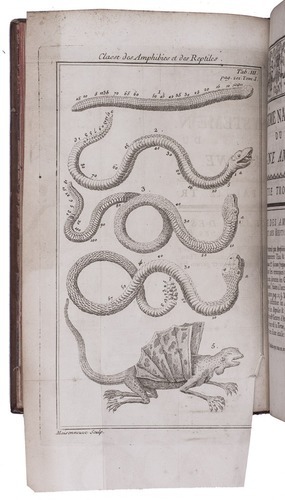 2 volumes bound as 1. 8vo. 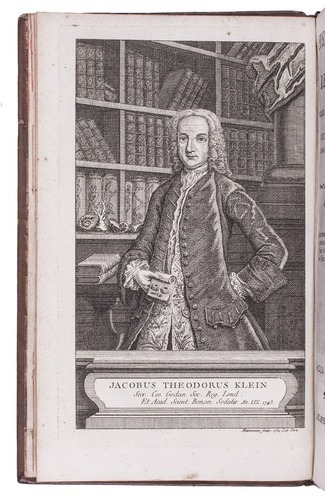 With two engraved portraits (Jacobus Theodorus Klein and Linnaeus) and 6 engraved plates. Contemporary calf, richly gold-tooled spine. 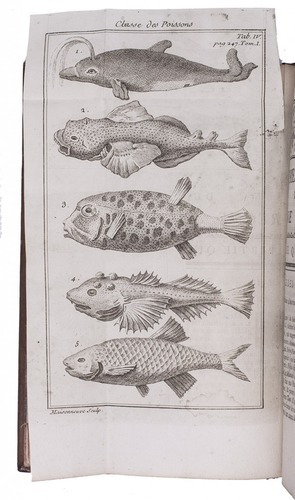 First and only edition of a systematic description of the animal kingdom, using the classification of Klein for quadrupeds, birds and amphibians, Artedi or fish and Linnaeus for the insects and worms. 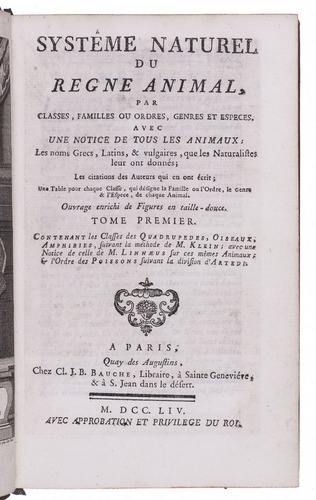 It was published to test the waters for a longer publication on this topic: Dictionnaire raisonné et universel des animaux ou le regne animal (1759). 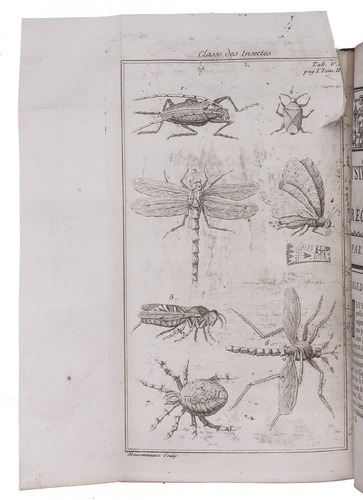 The second plate has a tear and there is a smudge on the half-title, but otherwise in very good condition. 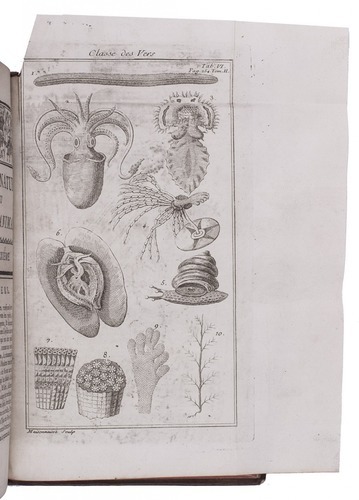 Barbier IV, p. 620; Soulsby 64a (wanting); E.C. Spary, “The nature of Enlightenment” in: The sciences in enlightened Europe, p. 279; not in Hulth.